The upcoming XENONnT detector, the next phase in our dark matter program, will have a dark matter target about three times larger than that of XENON1T. This means that all dimensions of the instruments are about 50% larger and thus require more space for the cleaning of the detector components and for detector assembly. For this reason, the class ISO-5/6 XENON cleanroom is currently being moved to a new above-ground space at LNGS, where it is re-built with a 50% increased footprint and a partially increased height. The last action seen by the “old” cleanroom before its decommissioning were very successful tests of the TPC electrodes for XENONnT. 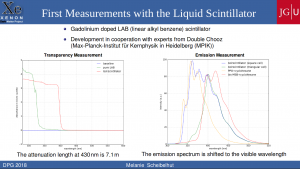 This entry was posted in Experiment and tagged 2018, cleanroom, construction, XENONnT on October 19, 2018 by Marc Schumann. 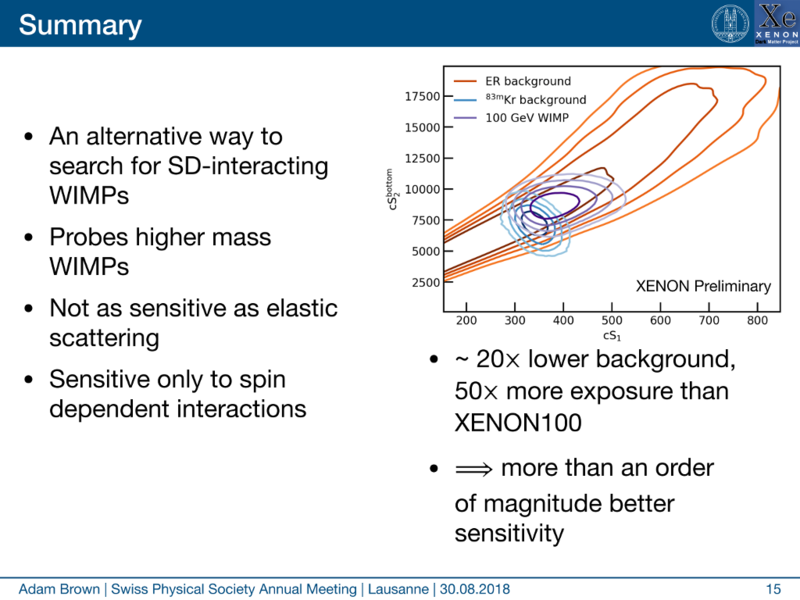 Two members of the University of Zurich group gave talks on XENON1T at the annual meeting of the Swiss Physical Society in Lausanne, Switzerland. 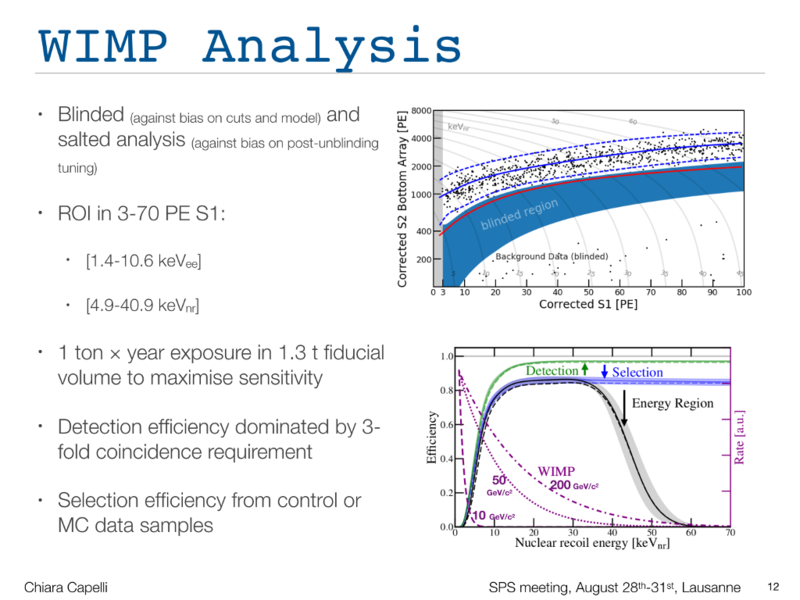 Chiara Capelli presented the latest news from the experiment and in particular the recently presented limit on spin-independent WIMP-nucleon cross-section, while Adam Brown spoke about the ongoing work searching for the inelastic scattering of WIMPs. One of the key slides from Chiara’s talk is below. 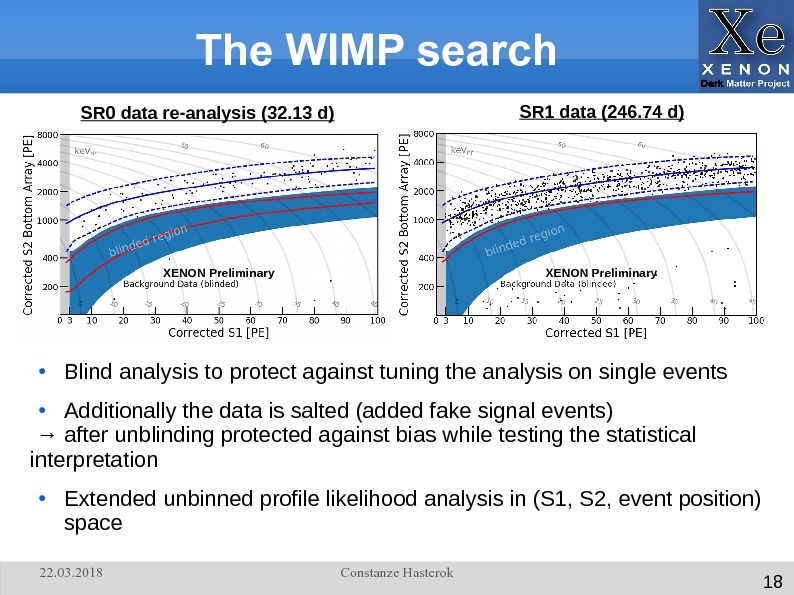 In the top-right you can see the WIMP-search data pre-unblinding, and in the bottom-right the efficiency for detecting nuclear recoils which happen in our fiducial volume. 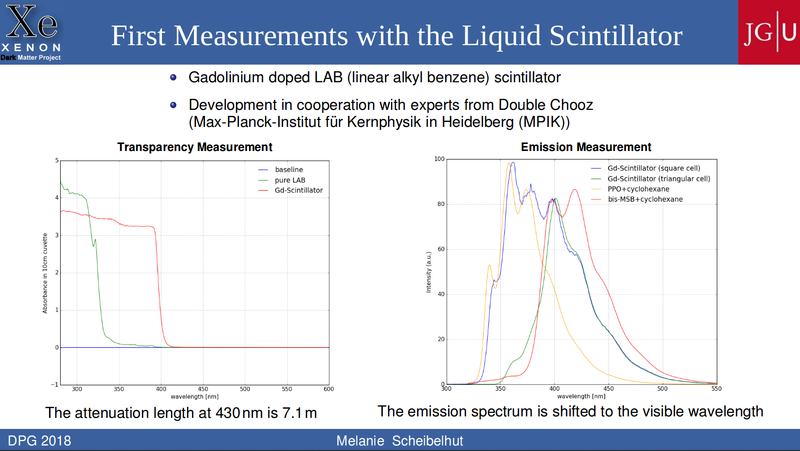 In the full talk, which is available here, she also presented the final limit and then gave a update on the preparations for the detector upgrade to XENONnT which are ongoing at the University of Zurich. Adam’s talk focussed instead on an alternative possibility of searching for WIMPs via their inelastic scattering off xenon nuclei. During the interaction the nucleus is excited, and so the usual nuclear recoil signal would be observed in coincidence with the 39.6 keV gamma ray from the de-excitation of the nucleus. One of the attractions of this search channel, which is however less sensitive than elastic scattering, is that it distinguishes between spin-dependent and spin-independent WIMP interactions: a spin-dependent interaction is needed to change the nuclear spin state during its excitation. Again, the full talk is available online here. 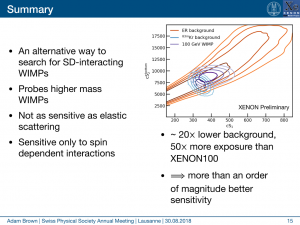 This entry was posted in Talks and tagged 2018, analysis, inelastic scattering, Switzerland, talk, XENON1T on September 4, 2018 by Adam Brown. 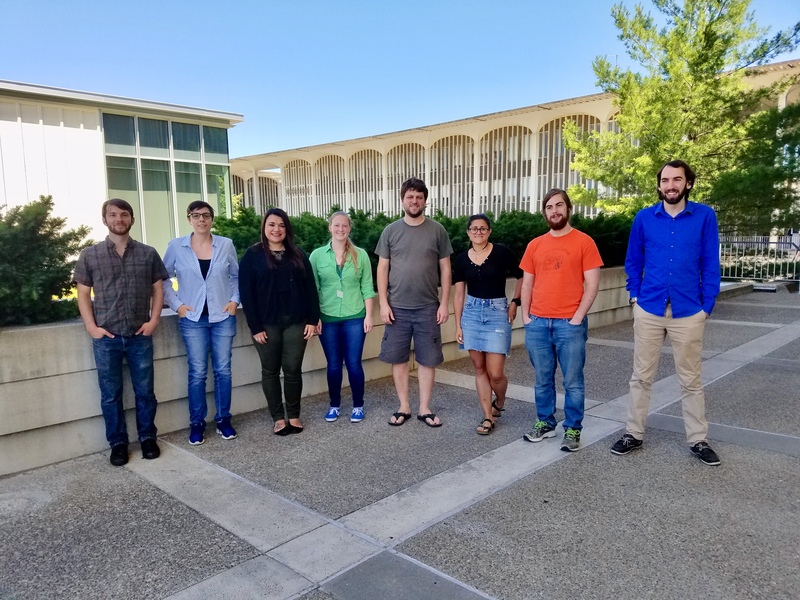 Some of our young collaboration members attended a Dark Matter Summer School at the University of Albany from July 16th through the 20th. Featured from left to right: Kelly Odgers, Chloé Therreau, Amanda Depoian, Abigail Kopec, Dr. Ethan Brown, Arianna Rocchetti, Matthew Bernstein, and Leaf Swordy. 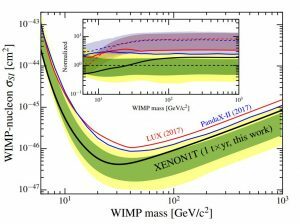 They obtained a broader understanding of the current state of Dark Matter research; especially cosmological and astrophysical evidence for Dark Matter; the best-motivated theoretical dark matter particle models; and various detection techniques. It was also an opportunity for them to meet and connect with their colleagues in the field and hone presentation skills. More information and uploaded talk slides can be found at https://indico.cern.ch/event/704938/. This entry was posted in Talks and tagged 2018, dark matter, PhD, summer school, talk on July 26, 2018 by Abigail Kopec. 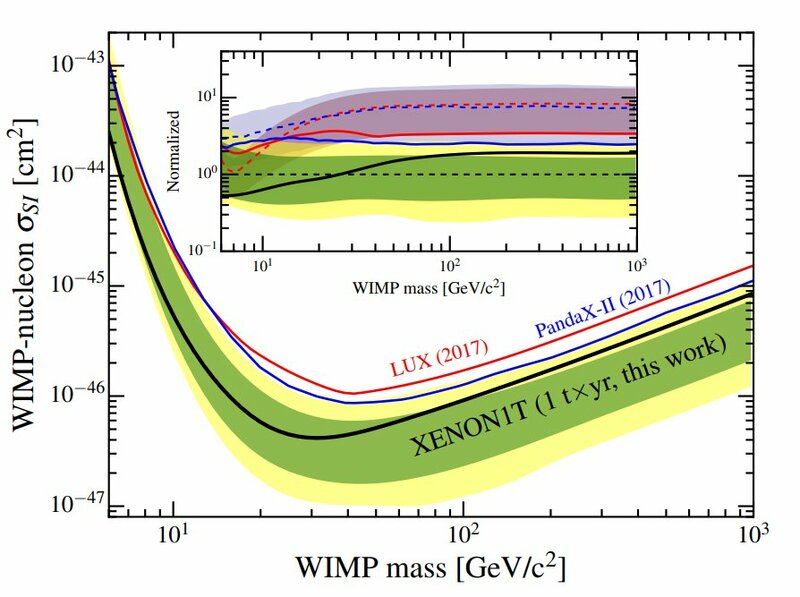 XENON1T may have been designed to search for dark matter, but it turns out that we can do a lot more with it. 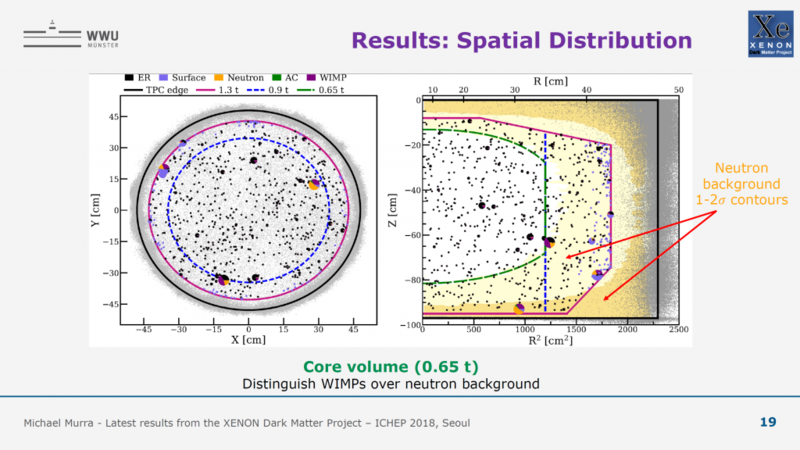 As the amount of xenon increases and backgrounds go down, the experiment starts to check all the boxes for a neutrino detector and becomes sensitive to rare physics processes, such as double -decays. 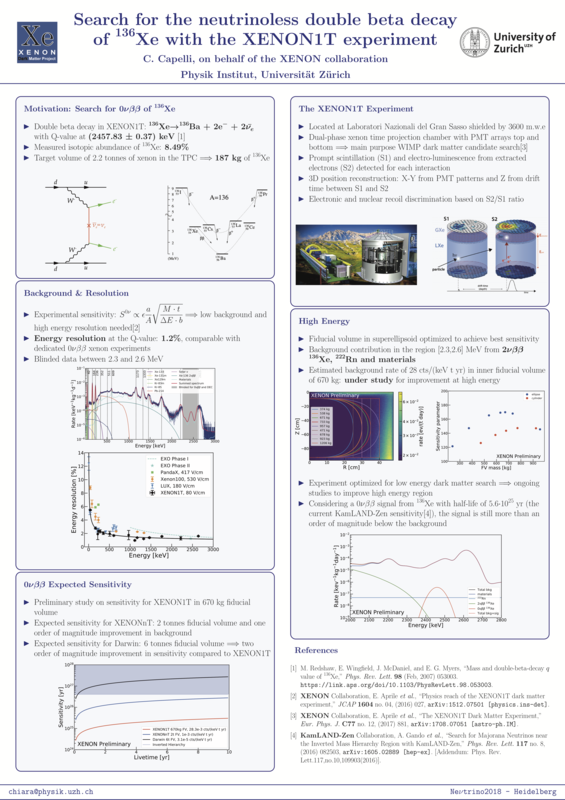 Two XENON collaboration posters at Neutrino 2018 in the beginning of June showcased the prospects for the detection of two such decays. 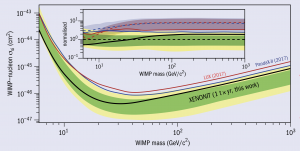 First, there is neutrinoless double -decay of the xenon isotope Xe-136. Here, two neutrons in the atomic nucleus are simultaneously converted into two protons. In order to conserve the total charge that increased by +2 with the protons two electrons with the charge -2 have to be emitted. In the standard model one would also need two anti-electron neutrinos to conserve lepton number. But this process goes beyond the standard model of particle physics. Its detection would imply that neutrinos are their own anti-particles and the violation of lepton number could be the key to understanding why the universe is dominated by matter compared to anti-matter today. 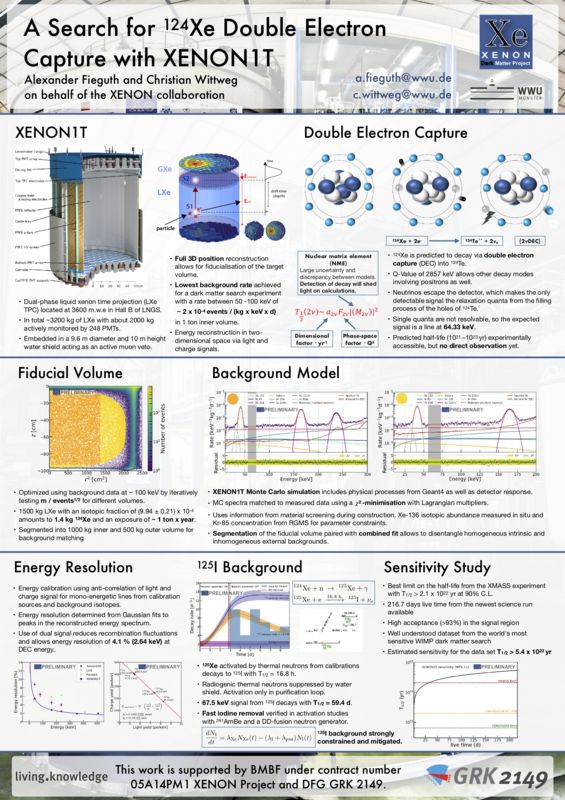 Chiara Capelli, a PhD student from the Zürich XENON group, presented a poster where she checked the sensitivity of current and future xenon detectors for neutrinoless double -decay. In the years to come these detectors will complement existing experiments. A second poster by Alexander Fieguth and Christian Wittweg from the Münster group outlined an ongoing search for the double electron capture of Xe-124. This decay is the other way round: Two neutrons are made from protons at the same time. 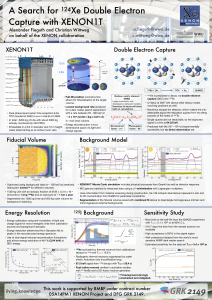 The necessary electrons for charge conservation are taken right from the electronic shell of the xenon atom itself. Two electron neutrinos are emitted to conserve lepton number. Although the neutrinoless case is also thinkable, the standard model decay with two neutrinos is exciting in itself. It is predicted but has not been detected so far. It t would be the longest-lived nuclear decay process ever observed directly. 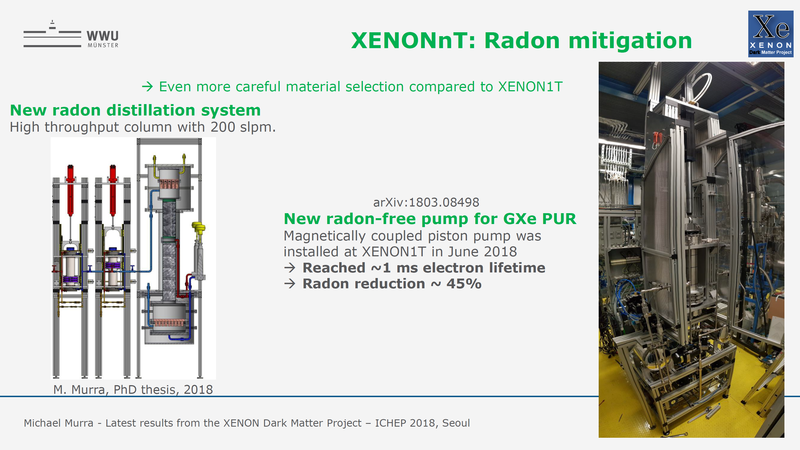 As XENON1T has the largest mass of Xe-124 in an experiment to date – about 1.5 kg due to the rarity of Xe-124 in natural xenon – it will be the most sensitive detector to search for this double electron capture process. 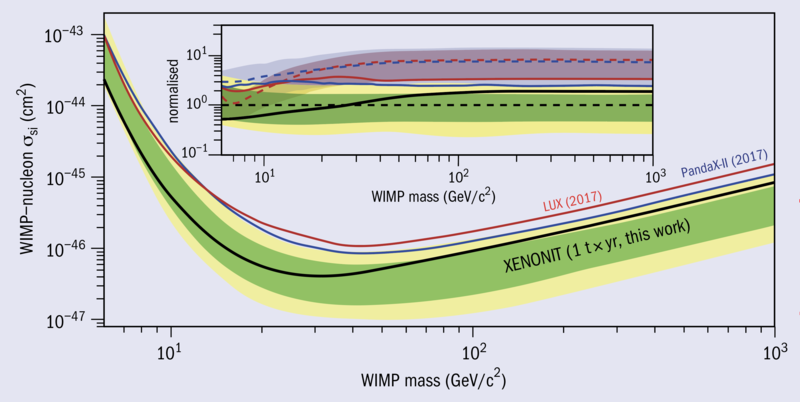 All in all, the future looks bright for large xenon detectors in neutrino physics and there are a bunch of exciting publications to look forward to. 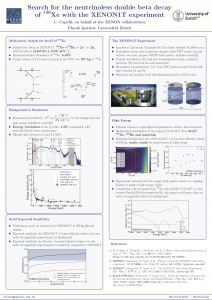 This entry was posted in Talks and tagged 2018, Double Electron Capture, neutrinoless double beta decay, neutrinos, poster on June 27, 2018 by Christian Wittweg. Everything scales up! Even the amount of acquired raw data in XENON1T. To handle data transfers easily, the XENON collaboration decided to let the Rucio Scientific Data Managment software do all the work. Rucio is developed at CERN and meant to manage scientific data. Data transfers, book keeping, easy data access and safety against data loss are its big advantage. XENON1T is taking about one Terabyte of raw data per day. 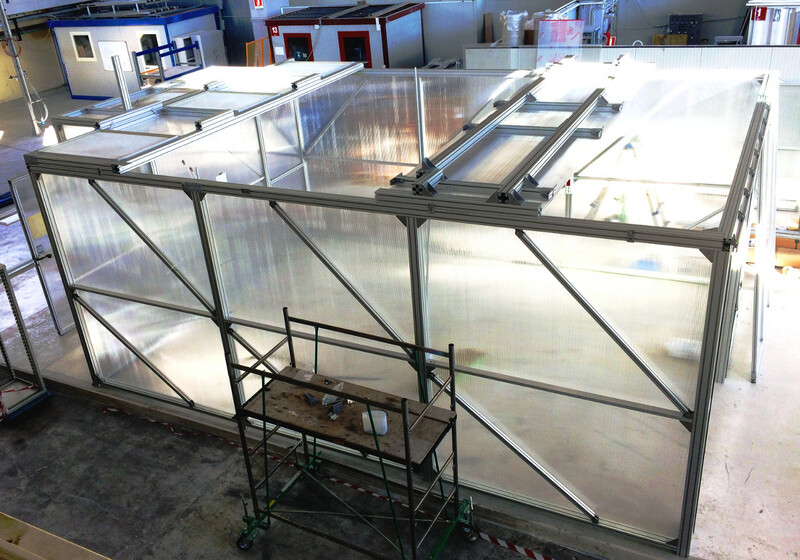 The detector is located at the Laboratori Nazionali del Gran Sass (LNGS) in Italy and the data need to be shipped out to dedicated computing centers for data reduction and analysis. Individual Rucio clients access dedicated GRID disk space on world wide distributed computer facilities. Everything is controlled by a Rucio server which keeps track on storage locations, data sizes and transfers within the computer infrastructure. Rucio is developed in Python and its distribution becomes very simple. The First Rucio Community Workshop was held at CERN on 1st and 2nd of March. Since Rucio was developed for the ATLAS collaboration, other experiments like XENON and AMS started to use Rucio a while ago. Nowadays, more collaborations such as EISCAT 3D, LIGO or NA62 (just to mention a few) became interested. The workshop allowed to meet all each other: developers and users discussed several use cases and how to improve Rucio for individual collaborations. We presented our integration of Rucio in the existing data handling framework. 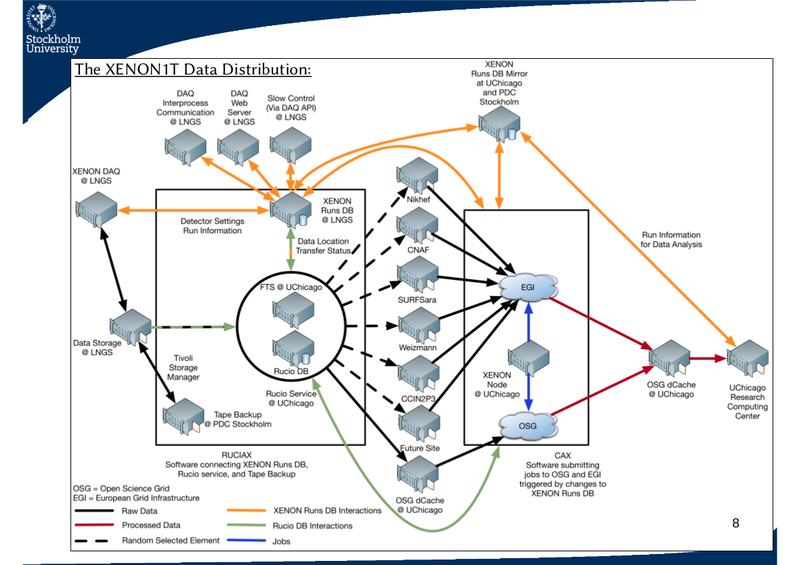 XENON1T raw data are distributed to five computing centers in Europe and the US. Each one is connected to the European Grid Interface (EGI) or the Open Science Grid (OSG) for data reduction (“processing”). 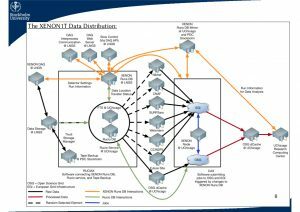 Raw data are processed on the GRID and the reduced data sets are provided for the analysts on Research Computing Center (RCC) in Chicago. Beyond this, the XENON collaboration will continue to use Rucio for the upcoming XENONnT upgrade. This entry was posted in Talks and tagged 2018, data handling, Rucio, talk, XENON1T, XENONnT on April 27, 2018 by Boris Bauermeister.